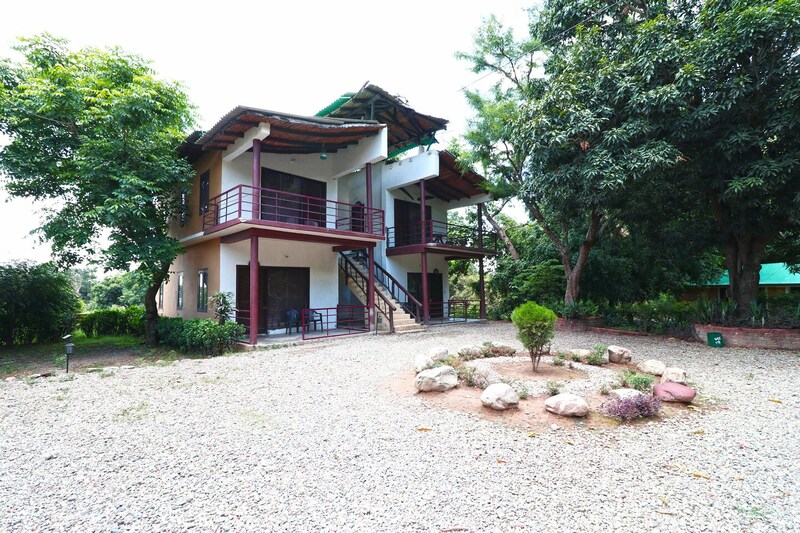 Located near Kosi Barrage, in Bailparao village, in Corbett, Bagheera Jungle Retreat is a charming stay option near Corbett National Park and Corbett museum. The property is surrounded by nature and is a warm and cosy experience. Surrounded by verdant greenery and lawns, this property is a relaxing stay. Long balconies and large terraces allow guests to admire nature from inside. The outdoor pool and the in-house restaurant with its rustic decor and open structure are great attractions. There is a conference room too. The rooms are cosy, furnished trendily and feature pretty murals. Each room comes with AC, TV, and seating area. Power backup, parking, CCTV security are offered too. The property is not far from eateries like Food Vatika, Joshi's Amul Parlour, and Om Collection.